Nassau Suffolk Exteriors is different from other Long Island home improvement companies because we have seasoned, veteran contractors in every department. When you hire us for your renovation project, you're getting individuals with years of experience in their services area. Not only that, but each of our home improvement departments are run by an expert Exterior Services contractor that has worked extensively in their specialized field for at least ten years. 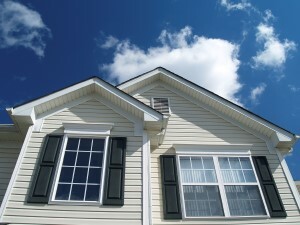 If you need vinyl siding or replacements windows, contact the experts at Nassau Suffolk Exteriors! Adding siding to your East Patchogue home is a good way to make it look new again. Just like a fresh coat of paint renews a room, vinyl siding can make a home look a lot newer than it actually is. The vinyl siding experts at Nassau Suffolk Exteriors can help you pick the right siding for the style of your East Patchogue home. You can rely on our experience in installing vinyl siding to East Patchogue houses to make sure job turns out right. Windows are a part of your home that must be chosen very carefully. You can save lots of money on your energy bills with the right replacement windows. Trust your next East Patchogue home improvement project to the expert contractors at Nassau Suffolk Exteriors! Deck building and installation, fencing construction, siding installation, roofing, window replacement, landscaping and masonry are some of the many things your East Patchogue Replacement Windows contractors are experts in. Contact us for a FREE consultation today! If you have any roof repairs that need to get done, it is best to do them before winter sets in. You will find that having issues with your roof during the winter can end up being very miserable and difficult to fix. You don’t want to find out that you have a leak in the middle of a snow or an ice storm. You will end up causing your house to be uncomfortable and you will end up having a very difficult time getting your roof fixed if you wait too long. This is why doing it before it gets to be too late is the best way to go about doing it. A lot of people will take their time when it comes to roof repair. This is something that is a terrible idea. When you end up taking your time and not rushing to fix a small roof problem it could end up becoming a very large roof problem. A roof problem that is left unrepaired can end up spreading. The longer a roof problem is ignored the more money it could end up costing you. You may end up finding yourself having to eventually replace your entire roof way sooner than you should if you leave it ignored for too long. The sooner you fix your roof, the better. If you're looking for replacement windows, siding, or roofing services in East Patchogue, call Nassau Suffolk Exteriors at 631-462-1383, or fill out our online request form.